Inline with the schedule, the Xiaomi Redmi 6 Pro has been made official. 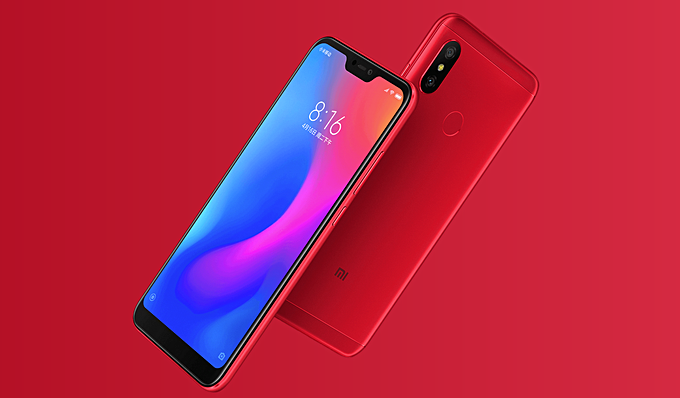 The device comes with a notch, making it the first Redmi series phone of its kind. It is powered by a Snapdragon 625 SoC and sports a 5.84 inch display with 2280x1080 pixel resolution (aspect ratio is 19:9). The Redmi 6 Pro comes in three memory configurations - 3GB+32GB, 4GB+32GB, and 4GB+64GB, and features a 12MP+5MP dual camera at back. Around the front you find a 5MP unit with HDR and AI portrait mode. Measuring 149.33x71.68x8.75mm and weighing in at 178g, the phone runs MIUI 9, packs in a large 4,000mAh battery, and features a rear mounted fingerprint sensor. Among other features, there's dual-SIM support, AI face unlock (using front camera), and a proprietary virtual assistant as well. Color options include Stone Black, Sand Gold, Cherry Blossom Powder, Bali Blue, and Flame Red. As for pricing, the base version carries a price tag of CNY 999 ($153), while the other two models (4GB/32GB and 4GB/64GB) will set you back CNY 1,199 ($185) and CNY 1,299 ($200), respectively. Pre-orders are currently live, with sales beginning June 26 onwards. There's no word yet on of if and when the device will be made available outside China.